This is a series of interconnecting short stories which take place in Russia, spanning the years of 1937 to 2013, even including a story entitled “Outer Space, Year Unknown”. 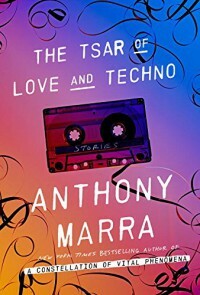 The first four stories comprise “Side A”, with “The Tsar of Love and Techno” being the Intermission story, with the next four stories being “Side B”. The stories are tied together through the characters and a Russian painting of a house and pasture where much of this book takes place. 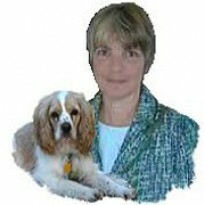 As with any book of short stories, there will be those you enjoy more than others. My favorite in this collection is the first one, “The Leopard”, which tells about a censor working for the Department of Party Propaganda and Agitation in 1937. His job is to paint over enemies of the people from official images and artwork as if he could erase their entire existence from history. There are two scenes in this story that were heart breaking – the first is when he is commanded to paint over the image of his own deceased brother and the second when he works on the painting of a disgraced ballerina. The author’s world is one that reads like a dystopian novel. The fact that this world actually existed makes it all the more harrowing. It’s a world where daughters turn in their mothers as traitors, a world where one wrong act or a whisper in the wrong ear can bring about accusation and execution. It’s a frightening world but also a world that shows startling beautiful moments of love. It’s a very moving book, though not an easy, quick read. There were times I’d get somewhat confused as to which character the story was about due to the many characters and locations and jumping around in time but I usually got back into it fairly quickly. It’s well worth the read and now I’m looking forward even more to reading the author’s first book “A Constellation of Vital Phenomena”. Recommended. This book was given to me by Blogging for Books in return for an honest review.